13:52 | Lima, Sep. 14. 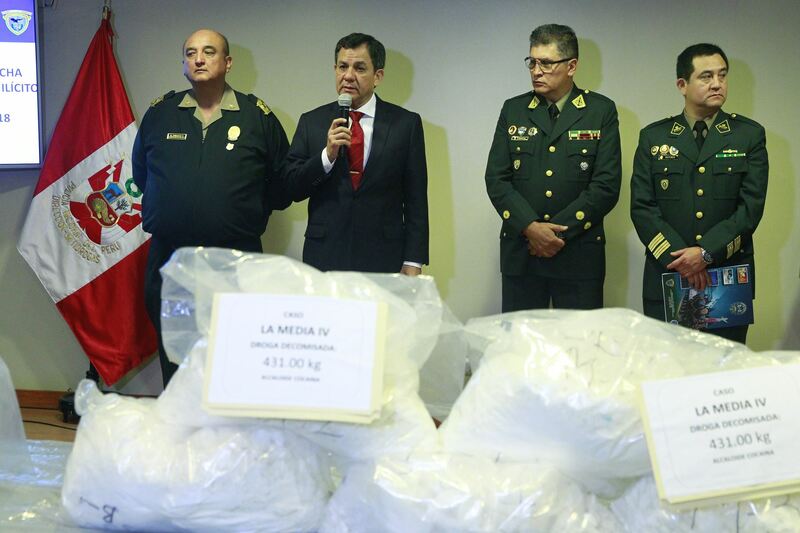 Peruvian Interior Minister Mauro Medina on Friday informed 40.6 tons of cocaine have been seized in the South American country so far this year. Within this framework, Medina noted the work carried out by Peru's national police in the fight against drug-trafficking. "The anti-drug efforts are strong this year. We must break the records. It has been a good intelligence work," the high-ranking official expressed. 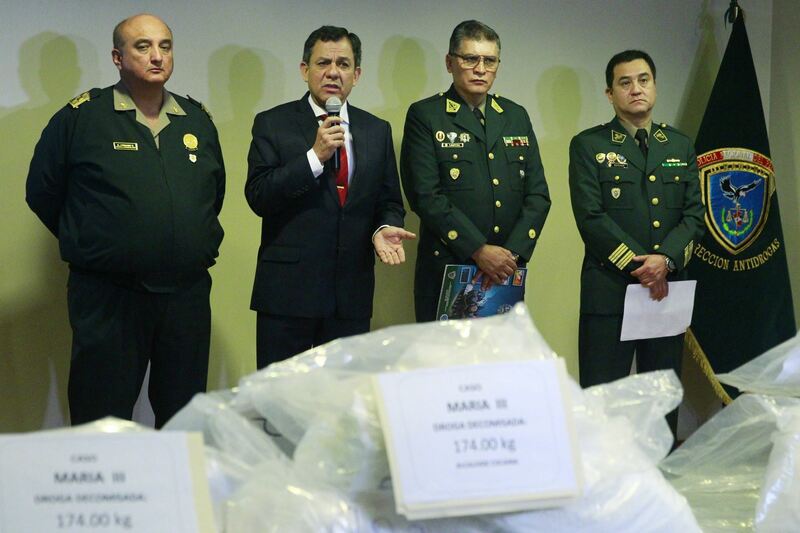 At a press conference, National Anti-Drug Agency (Dirandro) Head Hector Loayza addressed the last three successful operations carried out in the Inca country, especially in southern and eastern regions. The first seizure took place on September 2 at a cocaine laboratory in Pichari district belonging to the Valley of the Apurimac, Ene, and Mantaro rivers (VRAEM), where 296 kg of cocaine —valued at €1.5 million in Europe— were confiscated. The second operation —called Maria III— was carried out in Juliaca (Puno region). On that occasion, 174 kg of cocaine hydrochloride were seized. 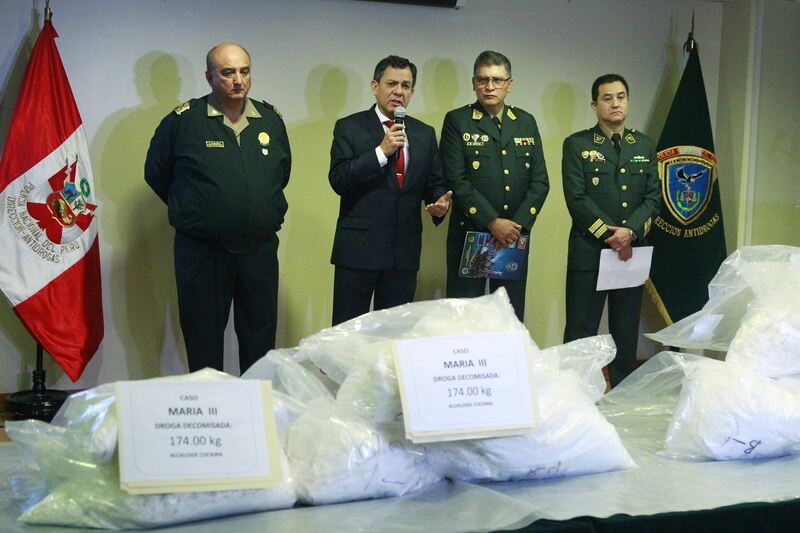 The drugs —intended to arrive in Bolivia— were worth €740,000 in the European market. The third case was Media IV in Huarmey (Ancash region), where 431 kg of cocaine hydrochloride were confiscated. Just like in previous episodes, Europe was supposed to become the destination, and the drugs were going to leave the country through a northern Peruvian port. In all these cases, the drugs had been produced in the VRAEM. 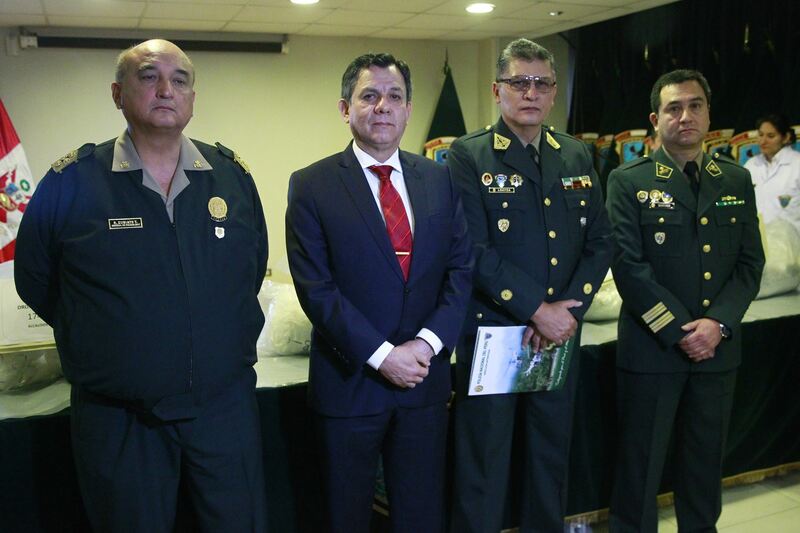 Moreover, the Dirandro Head informed over 19 ha of coca crops have been eradicated; 8,836 tons of chemical inputs have been confiscated; and 71 laboratories, as well as 76 criminal organizations, have been dismantled in the 11,605 anti-drug operations that have taken place. He went on to add 2,576 people —linked to this illegal business— have been detained to date. "We are on the right track when it comes to coca crops eradication and close to the 25,000 ha goal," Minister Medina concluded.